Life, which maintained a reasonably civilized tone for most of the start of this year, regained a bit of imbalance this weekend with the arrival of my sister and her boyfriend from Dublin to check out alpaca farms around Bordeaux. I know, for many, the connection between alpacas – a lama like creature with three stomachs that hums or whistles when happy or worried – and Bordeaux – the world's best known wine region – might be zero. But believe me, it exists. I have seen them, and heard their little hums and whistles. The weekend before the sister arrived, I ended up in Spain, at a conference* on the increasing quality of wines being the enemy of their diversity. Lucky I did, partly in terms of it being a total eye-opener into extreme winemaking, and partly because I got my liver slightly back to abnormal by closing a bar in the tiny but picturesque town of Ronda. If I hadn't I think my sister might have caught me unawares. But to go back to extreme winemaking, am I the only one that didn't know about evangelical types like Alvaro Palacios, Ales Kristancic and Dirk van der Niepoort from Spain, Slovenia and Portugal? Kristancic is the inheritor of his family's wine business established in 1820. As well as his existing range of Movia wines – all biodynamic – he now produces about 2,000 bottles per year of Lunar, a moon wine, which takes an impractical three days to settle after transportation. "I bury specially built wooden barrels, with no metal to distort the power of the moon, full of grapes for eight months," he said. The barrels are left underground so the grapes into wine process benefits more fully from the moon cycles. It looked funny, but it tasted great. At an earlier session – on the issue of whether vineyard management techniques contributed to a wine's character (I know, I know, silly question) – Alvaro Palacios, who runs his winery of the same name, was declaiming his belief that truly great wines only come from vineyards planted hundreds of years ago by monks. "I just can't understand why no one understands this," Palacios said, frustrated at having being told by the moderator that he was out of time. "I am not crazy, the monks chose the best places," he said. "It's in the wine – the calm of these vineyards that have been here for centuries. You feel it inside you when you drink, it is not just a taste," he said. I never got to taste it, but if I ever see it I will buy it, simply on the strength of that. Imbibing centuries old calm just can't be bad thing. On the issue of taste diversity, and the inexorable trend toward riper, sweeter wines – as well as foods – Dirk van der Niepoort who works in the Douro, said it is partly down to it being easier to talk about big things. 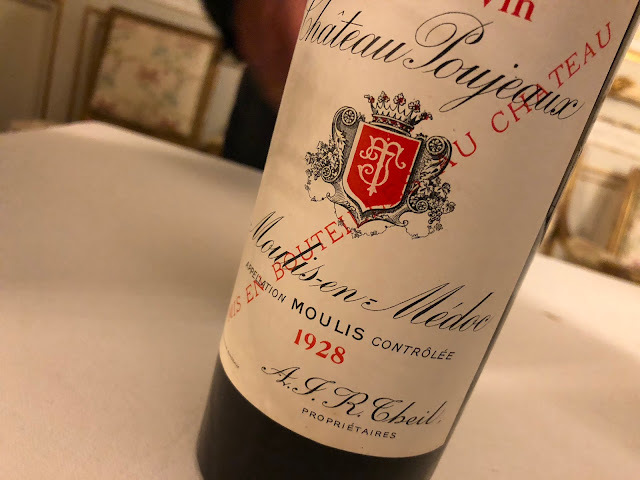 "It is difficult to describe the lack of something," he said of the difficulty of recreating a demand for more subtle wines. "Everyone wants the number one, best, biggest. It is not easy to say a wine is less, and then expect people to pay the same for it." He also believes that wines need to lighten up in other ways. "Modern consumers are forgetting that wine is supposed to be fun," he said. "My parents went to restaurants to drink wine because it was fun. They are not able to tell me what those wines tasted like, even when I ask them over and over. They just say it was fun." Oh, and as for my sister, who is serious about fun, it was her fault, and no one else's, that I ended up organising a Riverdance session at 3am in my local bar where they serve really good whiskey really cheap. Six euro's a glass for Irish and seven for the Scottish version. Poor liver. *WineCreator (Ronda, Spain) "Towards Diversity and Innovation in Winemaking"